Algorithms., Capitalism, Capitalism and Greed, Greed, Inequility, Social Media, The Future of Mankind, Visions of the future. Most mainstream textbooks have the word “economics” in their title as if no differentiating adjective exists. AS THE WORLD POPULATION GROWS IT WILL BE TO THE DETHRONEMENT OF THE PLANT AND TO THE SUSTAINABILITY OF ANY ECONOMIC SYSTEM WHETHER IT IS CAPITALIST OR OTHERWISE AS CAPITALISM HAS ALWAYS HAD A NEED FOR POVERTY TO KEEP COST DOWN. However, through social media, the poor are no longer invisible and the consequences of this are now beginning to becoming evident. It is a grim truism of modern life that everything from civil rights violations and health crises to environmental degradation and educational barriers are disproportionately suffered by the people least financially and socially equipped to deal with them. Capitalism today still represented itself as freeing serfs, slaves, etc, with freedom becoming capitalism’s self-celebration, which it largely remains today. Yet the reality of capitalism is different from its celebratory self-image. IT IS NOW a form of algorithmic trading in which funds trade on the small fluctuations in asset prices without ever owning the assets, with us the powerhouse in the making of fortunes that put colossal resources in the hands of a relative few, while at the same time, see others without even the means to sustain themselves. Combined the above with climate change and poverty and THE FORTH INDUSTRIAL REVOLUTION (AS IT HAS BEEN CHRISTENED BY THE ADVANCES IN TECHNOLOGICAL) IS CREATING A CAPITALIST WORLD THAT IS REMOVING IT FROM VIEW. DRIVEN BY CONSUMPTION PRODUCING ALGORITHMS JUST FOR PROFIT FOR THE ONE PERCENTERS, WHILE OUR GOVERNMENTS ACT LIKE THERE IS NO ALTERNATIVE TO GROWTH AT ALL COSTS. Wherever you look you will see that enormous gap between rich and poor growing and this gap between rich and poor is now threatening to destroy us and the world we all live in. To those who think capitalism and inequality need each other. Capitalism requires inequality of wealth, runs this right-of-centre argument, to stimulate risk-taking and effort; governments trying to stem it with taxes on wealth, capital, inheritance and property kill the goose that lays the golden egg. It took war and depression to arrest the inequality dynamic, along with the need to introduce high taxes on high incomes, especially unearned incomes, to sustain social peace. Now the ineluctable process of blind capital multiplying faster in fewer hands is underway again and on a global scale with self-serving greed in the form of profit-seeking algorithms. Anyone with the capacity to own in an era when the returns exceed those of wages and output will quickly become disproportionately and progressively richer- APPLE, MICROSOFT, E BAY, AMAZON- and when we buy their products online are in fact vote for them and their system. The mass of employees are not free inside capitalist enterprises to participate in the decisions that affect their lives (e.g., what the enterprise will produce, what technology it will use, where production will occur, and what will be done with the profit workers’ efforts help to produce). In their exclusion from such decisions, modern capitalism’s employees resemble slaves and serfs. So the speeding train of capitalism is “back on track,” resuming its rush toward stone walls of excess debt, stagnant mass incomes, capital relocating overseas, etc. YOU CAN WATCH THIS PROCESS IN REAL TIME WITH BREXIT, OR AMERICA FIRST. In Britain, it may be true that the top 1% pays a third of all income tax, but income tax constitutes only 25% of all tax revenue: 45% comes from VAT, excise duties and national insurance paid by the mass of the population. As a result, the burden of paying for public goods such as education, health and housing is increasingly shouldered by average taxpayers, who don’t have the wherewithal to sustain them. Wealth inequality thus becomes a recipe for slowing, innovation-averse, rentier economies, tougher working conditions and degraded public services. All in all, you could say that no real changes have been made in global capitalism OTHER THAN IT IS NOW RUN BY ANALYSING ALGORITHMS THAT RECOMMEND WHERE, WHEN AND HOW WITH TO SATISFY SHORT TERM PLEASURE. UNFORTUNILTY it is simply depriving us and our children of fundamental rights of a decent & caring society, fearless & dignified living, by a deprivation of the material conditions for the reproduction of society, and a failure to develop the full capabilities of human beings. OF COURSE, our collective sense of justice is outraged as we are witnessing in the recent Paris Riots, the Climate Change Conference in Poland sponsored by coal trying to set rules to govern pledges that will be broken as soon as the ink dries and the ongoing Brexit charade which has nothing to do with peoples wellbeing. Where does all of this leave us other than with an ominous sense of impending implosion reverberates throughout the world with national politics and culture waning no one seems to know or care. Our TV screens with Christmas coming we are bombarded with the worst images of Capitalism – advertisers promoting materialism, alongside appeals to donate money to save everything from children in Yemen too abandoned animals. While it is heartbreaking the worst part is that our governments are complicit. Despite the famine, despite the bombing of a busload of school kids in Yemen countries like the US, UK, France, and Canada are still supplying the Saudis with hundreds of billions of dollars in tanks and missiles. However, it has little effect as we look on from a distance sitting at home before our own little stages our TV’s, our I Pads, our Smartphones, our courtyards of miracles where an image sweeps across the previous one without trace. Everything is on a reduced scale, even emotions. That’s the trouble with shadow political power structures. Their true shape and purpose stay hidden while they capture democracy. 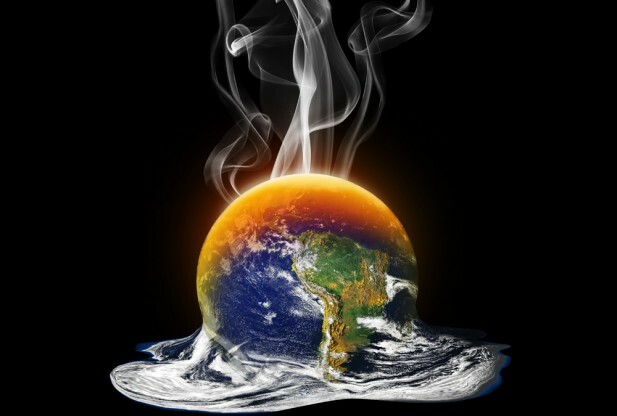 From all this, we shall draw some conclusions, in the absence of any convincing certainties one has to pretend that we shall solve Climate Change (that is going to drive more inequality and eventually the extinction of our biodiversity, followed by us due to the lack of fresh water or clean air.) and currents world conflicts that are only the tip of the coming wars over diminishing natural resources. Let’s put the plant first before space exploration, before material productivity consumption, before cultural identity, before consumerism, before America first, before Brexit isolation, before trade deals, before nuclear power, before religious beliefs, before skin colour, before short-term pleasure, before us. Let’s go for a diverse economic system where toxic wealth inequalities are less indulged rather than a monopolised marketplace. Let’s enshrine Water and Fresh air into all our actions. Any of the above can now only be achieved by using the power of Social media which is being used in ways that shape politics, business, world culture, education, careers, innovation, and more. THE PROBLEM WITH SOCIAL MEDIA THAT IS HAVING A REAL IMPACT ON SOCIETY IS THAT IT IS LEADERLESS. On one hand, it generates insights, stimulates demand, and create targeted product offerings but when people are presented with the option of ‘liking’ a social cause, they use this to opt out of actually committing time and money. Social sharing has encouraged people to use computers and mobile phones to express their concerns on social issues without actually having to engage actively with campaigns in real life. On the other hand, it without social media, social, ethical, environmental and political ills would have minimal visibility. Increased visibility of issues has shifted the balance of power from the hands of a few to the masses. Capitalism understands the above more than our world organisation or governments. Social networks feed off interactions among people, they become more powerful as they grow. Each person with marginal views can see that he’s not alone. And when these people find one another via social media, they can do things — create memes, publications and entire online worlds that bolster their worldview, and then break into the mainstream. Social networks are helping to fundamentally rewire human society.” Because social media allows people to communicate with one another more freely, they are helping to create surprisingly influential social organizations among once-marginalized groups – Popularism- Short-term politics with no long-term aspirations promoting social ills. 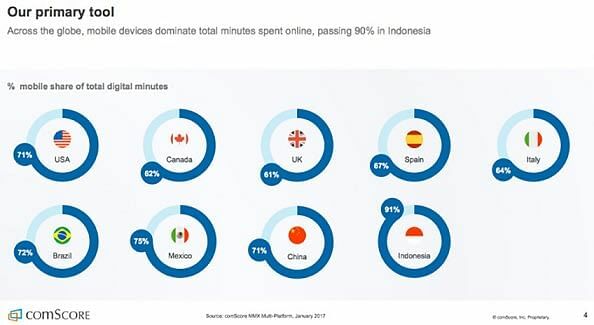 Across the globe, mobile devices dominate in terms of total minutes spent online. This puts the means to connect anywhere, at any time on any device in everyone’s hands. Their support is limited to pressing the ‘Like’ button or sharing content. Is it not time that we demand that our internet platforms introduce a dislike button. So far humans have had a monopoly on decision making but we are sleepwalking with Data Analyzing algorithms eroding our societies that have the sole purpose of predicting our next purchase or move. Artificial intelligence in its current form is mostly harmless but that’s not going to last. Fueled by powers of machine learning with no end in sight it is encroaching into to our homes without human examples or guidance, without any knowledge of the domain beyond basic rules of promoting profit. WHAT IF ANYTHING CAN BE DONE? We need to ensure that Ai Systems are provable safe and beneficial, and unbias regardless of how intelligent they become. Imagine the havoc and harm they will inflict with greater power, scope and social reach. When developers are at a loss to explain the behaviour of their creations we will then need Ai to explain to humans why they reached certain decisions, or what their conclusions actually mean. At the moment we are seeing poorly thought out systems released into the world without any real ethical or safety standards. Governments and our out of date international world organisation have a role to play, by introducing and enforcing standards and regulations. Changing present capitalist corporate culture won’t be easy, but it needs to start at the top. Just look at biotechnology some research findings are too dangerous to share with the public. It is time we all grew up and accept some responsibility for Artifical Intelligence impact on the world. Because AI is poised to be one of the most daunting challenges our species have ever faced, decoupling us from human speed and timelines, operating beyond human levels of control and comprehension. AT THE MOMENT IT IS RATHER THAN TURNING THE ATHOMISPHRIC DOWN IT IS CONTRIBUTING (IN MOST OF ITS FORM) TO TURN IT UP. On a deeper level, the idea of self-referential feedback may be crucial not only in the evolution of life but for its origin as well. It may even be that the algorithmic nature of cellular automata could be the key to removing a major barrier to explaining life’s origin — defining what life is, to begin with. It’s pretty hard to explain the origin of something if you don’t know what it is. When the environment changes, the rules for surviving may change as well. Life’s activity generates feedback that influences the rules of life. You can’t blame scientists for conceiving of the universe in terms familiar from their everyday life. That’s just the way that thinking works, whether it’s about the laws of nature or anything else. And you have to admit that nowadays computers have invaded everyday life so thoroughly that it’s only natural for scientists to think about nature in a computational way. THE BEADY EYE ASKS: ARE WE KIDDING OURSELVES GROWTH AT ALL COSTS. In a world where nearly 20 people are forcibly displaced every minute by violence, war and persecution ARE WE KIDDING OURSELVES TO THINK THAT TECHNOLOGY WILL SOLVE THE WORLD PROBLEMS. One in every 113 people on the planet is now a refugee AND THAT IS WITHOUT CLIMATE CHANGE THAT IS GOING TO BE THE BIGGEST MOTIVE TO BECOME ONE. At the moment ( According to the UN Refugee Agency, UNHCR) it might be true to say that out of the 65.6 million 40.3 million – are people displaced within their own country. Here are below are four UNHCR videos that should be shown on World TV, across Social Media, in every school to every man woman and child. See the previous post on a World Aid commission. 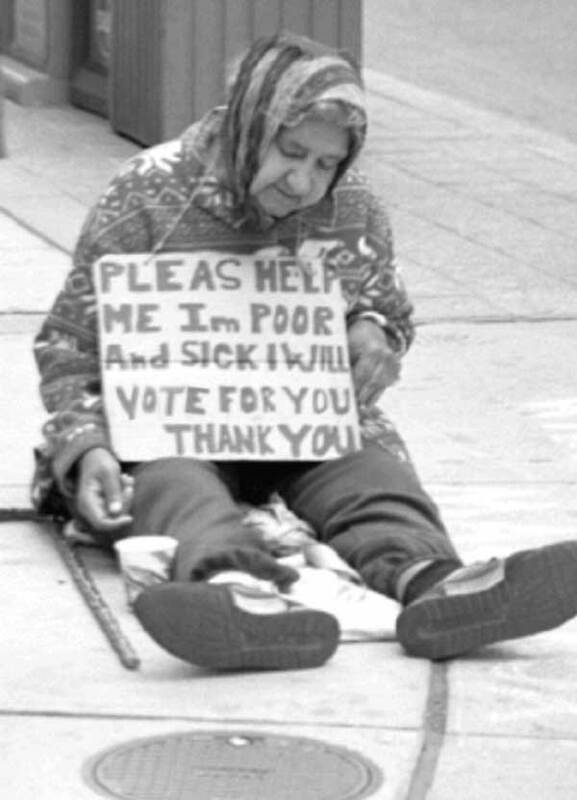 THE BEADY ASK’S: WHERE DO YOU THINK POVERTY CAME FROM AND WHERE IS IT GOING TO END UP. Most of us were taught that poverty started with the Industrial Revolution. For the most part this is true but it did not happen in the isolation of the British Empire. This story is powerful in its simplicity but if we rewind to about 1500 people living in South America, India, and Asia were much better off than Europeans. In fact Europe was just emerging from the dark ages. China and India controlled most if not nearly all the world economy. The Question is how did this change and why? I put it down to Christopher Columbus and shoddy geographical calculations. On his second outing in the Caribbean he was looking for gold and as a result the Spanish invasion killed must of the islands inhabitants. Then came a bloke named Cortes who ripped off the Aztec of Mexico,followed by Pizarro yet another Spanish conquistador with an unquenchable thirst for gold. A total of over 185,000 kilograms of gold and 100 million kilograms of silver were pilfer from Latin America and pumped into Spain and then used to pay for Spanish war and debts. This wealth allowed Europe to grow its economic wealth beyond the China or India. The result was Europeans outsourced its labour into wars and colonization reducing the population of the rest of the world by slavery, epidemic diseases and massacres while enjoying the rich life. ( Free Slavery labour benefited the USA Colonies by over 222.5 million hours) Britain pay compensation of over £20m to slave owners equivalent to £300 million to-day which tell us nothing of the total value they produced. The Silver was turned into cotton and sugar and spices. Cotton being the key raw material for the European Industrial Revolution. The Surviving slaves got nothing. Indeed without the slave colonies of the New world there would have being no market for the Industrial goods. You could say that the above is rather a simplistic explanation but development in Africa and Latin America was effectively stolen by Europe. So where are we to-day. Almost half the world — over 3 billion people — live on less than $2.50 a day. The GDP (Gross Domestic Product) of the 41 Heavily Indebted Poor Countries (567 million people) is less than the wealth of the world’s 7 richest people combined. Nearly a billion people entered the 21st century unable to read a book or sign their names. 1 billion children live in poverty (1 in 2 children in the world). 640 million live without adequate shelter, 400 million have no access to safe water, 270 million have no access to health services. 10.6 million died in 2003 before they reached the age of 5 (or roughly 29,000 children per day). Poverty is the state for the majority of the world’s people and nations. Why is this? Behind the increasing interconnectedness promised by globalization and technology are global decisions, policies, and practices. Formulated by the rich and powerful. These can be leaders of rich countries or other global actors such as multinational corporations, institutions, and influential people. As a result, in the global context, a few get wealthy while the majority struggle. The poorest are also typically marginalized from society and have little representation or voice in public and political debates, making it even harder to escape poverty. The amount the world spends on military, financial bailouts and other areas that benefit the wealthy, compared to the amount spent to address the daily crisis of poverty and related problems are often staggering. To attract investment, poor countries enter a spiraling race to the bottom to see who can provide lower standards, reduced wages and cheaper resources. This has increased poverty and inequality for most people. It also forms a backbone to what we today call globalization. As a result, it maintains the historic unequal rules of trade. Now we are looking at a new form of Poverty currently being created by a few monopolies. I call it Algorithm Poverty. Around the world, in rich or poor nations, poverty has always been present. In most nations today, inequality—the gap between the rich and the poor—is quite high and often widening. The causes are numerous, including a lack of individual responsibility, bad government policy, exploitation by people and businesses with power and influence, or some combination of these and other factors. And we wonder why the world is in a state of chaos. Around 21,000 children die every day around the world. World hunger is a terrible symptom of world poverty. Food aid (when not for emergency relief) can actually be very destructive on the economy of the recipient nation. Free, subsidized, or cheap food, below market prices undercuts local farmers, who cannot compete and are driven out of jobs and into poverty, further slanting the market share of the larger producers such as those from the US and Europe. Poverty leads to hunger. There are many inter-related issues causing hunger. They include land rights and ownership, diversion of land use to non-productive use, increasing emphasis on export-oriented agriculture, inefficient agricultural practices, war, famine, drought, over-fishing, poor crop yields, etc. Solving world hunger in the conventional sense (of providing/growing more food etc) will not tackle poverty that leads to hunger in the first place. Further, there is a risk of continuing the poverty and dependency without realizing it, because the act of attempting to provide more food etc can appear so altruistic in motive. 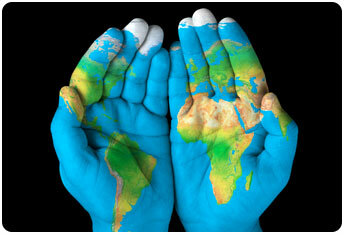 To solve world hunger in the long run, poverty alleviation is required. For the first time in our history Technology offers us a chance to distribute the world’s wealth fairly. Without Trade agreements, Aid, Repayment, Corruption, Power Brokering by NGOs, United Nations Begging, Bureaucratic interference, or any other hidden agendas. It requires the large capitalist monopoly platforms to supply a free basic mobile phone to every person register as citizen of a country world-wide. On registration the people would be allocated a pin number. This pin would allow them to access a monthly Basic non repayable no strings attached Income payment. There is no other way of ensuring that our world can fight poverty and climate change. Most of the causes of hunger are found in global politics. People are hungry not because the population is growing so fast that food is becoming scarce, but because people cannot afford it. The number of people overweight or obese is now rivaling the number of people suffering from hunger around the world. Its time to get off our fat asses and share our wealth not push it around to create more wealth. It can be done with the press of a button. THE BEADY EYE SAY’S: BY 2025, WE WILL BE IF NOT ALREADY LIVING IN A WORLD THAT IS RUN BY GOOGLE. Posted by bobdillon33@gmail.com in 2018: The Year of Disconnection., Algorithms., Artificial Intelligence., Big Data., Evolution., Facebook, Fourth Industrial Revolution., Google Knowledge., Humanity., Innovation., Life., Our Common Values., Poverty, Privatization, Social Media, Sustaniability, Technology, The cloud., The common good., The Future, The Obvious., The world to day., Twitter, Unanswered Questions., United Nations, What Needs to change in the World, Where's the Global Outrage. Artificial Intelligence., Big Data, Distribution of wealth, Globalization, Greed, Inequility, Technology, The Future of Mankind, Visions of the future. I have posted on this subject before with little reaction. There is often an implicit connection between discourses of the future and notions of technology, so that if we see a television programme with a title such as Click or Tomorrow’s World we expect that the topic will be technology. The single most astonishing point about technologies is that they can move from being emblematic of an almost unreachable future to becoming so taken for granted that it feels like a personal slight when they do not work. In this way technology in and of itself becomes a symbol of being modern is one of the reasons it becomes expressive of, rather than distinct from, cultural values. Perhaps this is the reason that the relationship between social media and the conceptualisation of the future is still blurred and will remain so. New technology does not just change the manner in which people go about their everyday lives: It also facilitates our imagination of the future. All the above speak to a new, imagined future that strives towards idealism. However within the vast field of technology the consequences of AI there are a few devices and algorithms that will battle it out over the next twenty odd years for supremacy. 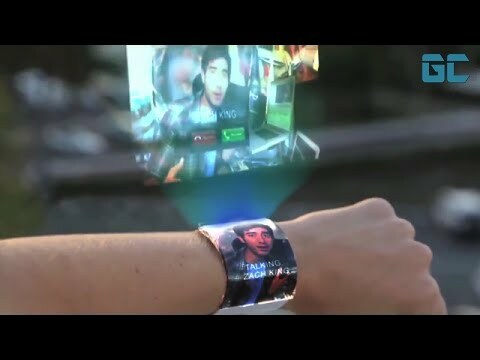 Will it be Smartphones, or Smart Wearable or Cryptocurrency that will augment reality. All need software in the form of algorithms to run. 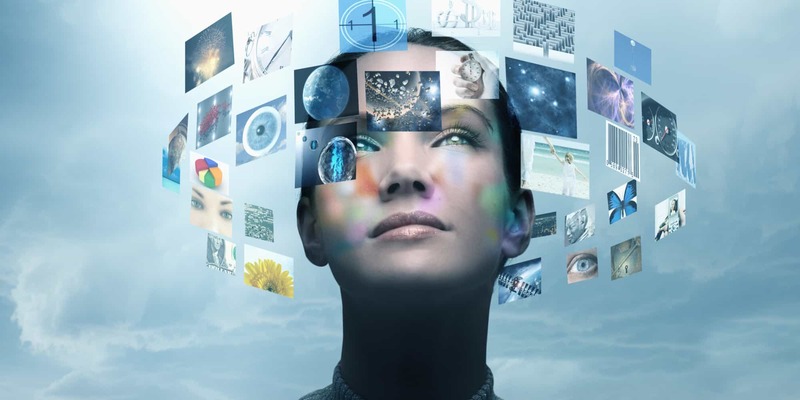 AI algorithms will make the physical and digital world interchangeable. Practically every non- iPhone smartphone relies on an Android operating system? One way or the other we are entering an age where life stops giving us things and starts taking them away. So it’s not Social media technology platforms like Facebook or Twitter and the others ( that talks a lot about connectivity but not accountability) that will change the world but the power of ever where at once. That requires total knowledge on all aspects of life. Google or should I say the Google Cloud is trying to achieve this. Which is possibly both the best and the worst thing that could happen. So let’s look at a few of the top combats in the world of technology in no particular order. Productivity and Business Processes, Intelligent Cloud, and More Personal Computing. Microsoft could be worth $1 trillion by 2020 — if not sooner. It is moving further and further into a digital landscape for everything from movies, music, books, games and software. An online breaking news and social networking service. 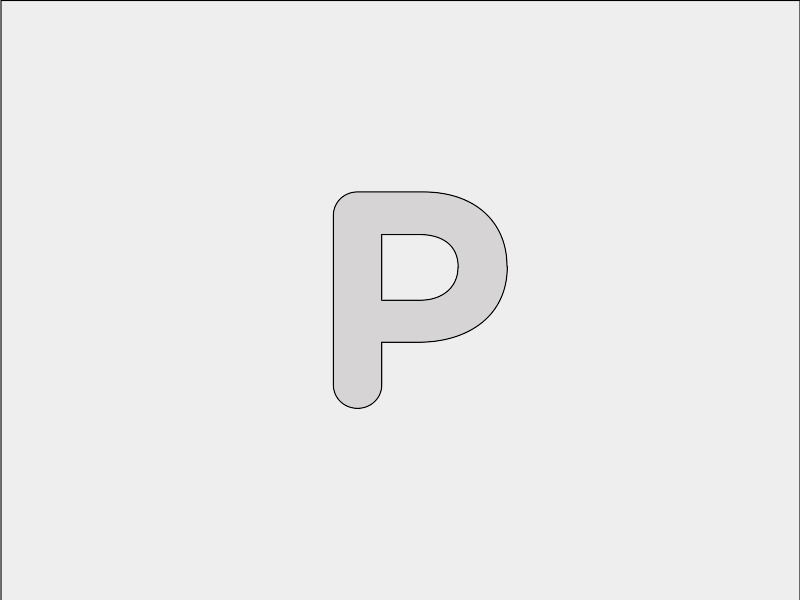 Using Twitter bots, (live streaming video.) With 450 million monthly active users it is ranked the eleventh most visited website. It has mobile apps for iPhone, iPad, Android, Windows 10, Windows Phone,BlackBerry, and Nokia S40. Capable of influencing public opinion about culture, products and political agendas by automatically generating mass amounts of tweets through imitating human communication. World leaders and their diplomats have taken note of Twitter’s rapid expansion and have been increasingly utilizing Twitter diplomacy. Television programs use it to amplify their programs. It could become the emergency communication system for track epidemics or sensor for automatic response to natural disasters. The largest Internet retailer in the world. The company is now worth more than $560 billion. Electronic commerce and cloud computing company. Amazon announced that it would acquire Whole Foods, a high-end supermarket chain with over 400 stores, for $13.4 billion. Quarterly revenue of $52.6 billion 2017. Today, Apple leads the world in innovation with iPhone, iPad, Mac, Apple Watch and Apple TV. Apple’s four software platforms — iOS, macOS, watchOS and tvOS. A publicly traded company worth more than $500 billion. More than two billion monthly users. It is developing a new social platform in virtual reality called Facebook Spaces, which it believes will form the foundation for the future of communication. Tencent and Alibaba: aren’t far from the half-trillion dollar mark either. Which one if any of the above will be the top dog by 2025. At this point you will have noticed that I have left out the company mentioned in Title of this posting. and desires of certain populations. Companies like Amazon and Google will be fighting to lock you into one voice ecosystem. You may have to declare your allegiance for Alexa, Siri, Cortana or Google Assistant. Amazon represents de-socialising of commerce. Face book represents self ego. Twitter represents myths and gossip. Apple represents profit. E bay represents selling and buying of stuff, Google represents doming down. All are represented on Social Media which is being used in ways that shape politics, business, world culture, education, careers, innovation, and more. Social media applications such as Facebook, Twitter and YouTube have increasingly been adopted by politicians, political activists and social movements as a means to engage, organize and communicate with citizens. So is the power and the winner going to be Social Media which is owned by the Internet. In short, one consequence of this prediction is that the very idea of ‘social media’ might gradually disappear; instead we simply have an increasingly diverse set of media and increasingly sophisticated exploitation of the possibilities these media have created, including other trends such as obtaining information, sharing information or making communication more visual. Social media is slowly killing real activism and replacing it with ‘slacktivism, and we all know where that might lead us. Awareness is not translating into real change. Support is limited to pressing the ‘Like’ button or sharing content which absolve them from responsibility to act. The role of social media as symbolic of the future may already be in decline. The one I left out, with 65% of all online searches – is Google. Google has expanded far beyond its original claim to fame as a search engine. Google and their competitor platforms are programming the world for profit. The reach of this technology giant is so vast it is hard to imagine an area of modern life it has not touched. Alphabet owns Google, as well as many other companies. However, Google itself owns companies. Google has reorganized itself into multiple companies, separating its core Internet business from several of its most ambitious projects while continuing to run all of these operations under a new umbrella company called Alphabet. Google owns more than 200 companies, including those involved in robotics, mapping, video broadcasting, telecommunications and advertising. Simply put, the company has been visionary in recognizing the income potential for information products. Their profit seeking algorithms ensuring that every recommendation, from whether you should buy this or that, stay here or there, fly or drive, connect to this or that, live or die, will earn them a few cents. By 2025 all will be connected to the Cloud. With one winner. Once a Google client always a Google client. How do you stop using Google? Move and your G Mail becomes blocked mail. Say anything on you website that smacks about google, you site gets flooded with google ads. It is becoming more and more difficult for anyone to extricate themselves from the clutches of any of its platforms as deactivating means little or nothing. 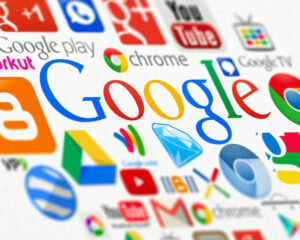 Will Social Media destroy or rain back Google dominance? The whole Social media thing is turning into an addictive cancer effecting our brains and tearing our emotions and attentiveness a sunder which in turn is encouraging self-segregation and exacerbating social divides. Every facet of our life is touched or being integrated by the social media today. In this sense social media has become an instrument of democratic renewal. On the other hand it is evident that this uncensored and unmonitored medium of communication is exposing us all to a gradual breakdown of social cohesion and the destruction of our traditional value systems. Though the advantages of social media are emphasized quite often, as opposed to its negative aspects which are very rarely discussed. I feel that this will change in the coming years. All said, social media is here to stay. The power of social media is exponential. Numbers tell the story. Just as difficult as forecasting the future is knowing the present. dynamic as social media. How can we know what social media has already become for oil workers in Alaska, tribal people in Amazonia and the nouveau riche of Moscow? Unless we take responsibility to ensure that our understanding of social media and its impacts are constantly evaluated with what’s happening in the world. Once we appreciate that knowing social media is not an exercise in delineating the properties of a set of platforms, but rather of acknowledging what the world has already turned these into, by way of content, the immensity of the problem is revealed. So it will be important to continue monitoring and exploring the extent to which collective action is individualised through social media use. = Can the use of social media for campaigning help to bring about genuine and lasting empowerment; or does it serve largely to re-inforce pre-existing relationships? = Is social media a means of building dialogue and consensus in diverse communities or does its use encourage increased fragmentation or, alternatively, a homogeneity of interests? = Can meaningful impact measures be developed that can be used by small, under-resourced organisations at local level (or indeed within larger voluntary organisations)? Social media is seen in much of the literature as a means of promoting dialogue beyond the mainstream media. Voluntary and community groups have been criticized, however, for using social media as little more than a means of broadcasting. Why might this be the case – and does it matter? It is used to repair the rupture sustained by separated transnational families or for overcoming previously frustrated desires to share photographs more easily. Soon, however, things move on to new realms. Should a clear relationship be expected between the (apparently empowering) use of social media in mobilizing large national and global movements, and its use at the micro-political neighborhood level. An increasing number of social media platforms can be aligned with the diversity of the social groups to which we might want to relate. Social media however has little impact on the overall outcomes in terms of empowerment, equalities or social justice. However powerful and important the advent of social media has become, it would be hard to place it ahead of the impact and significance of smartphones, within which social media platforms may often be seen as just another kind of app. It is smartphones that facilitate social media’s importance as a mix of polymedia, making clear the range of media possibilities as they lie side by side within one easily accessible device. It is the Smartphone that drives social media input and out put. Will that will be the One Winner, changing our sense of collective memory, creating a new form or combination of internal and external faculties for retaining information. As Smartphones become smarter, they may well accelerate the dissolving of social media into this wider array of communicative possibilities. The more individuals live within culturally imposed constraints on communication, the more a new technology may mean that what was previously forbidden now becomes possible. This fluid mix of communicative forms suits the way users flow between activities such as talking, gaming, texting, masturbating, learning and purchasing. The social connection is more important than how well a platform meets their needs. Comparative anthropology creates particular varieties of knowledge of both breadth and depth. What makes these essential within the context of our complex modern world, however, is that these are forms of understanding based on empathy. Merely having a smart phone provides a significant change with respect to the capacities of its owner. What happens to our online materials at death. Finally: Capitalism can never be ethical. There are no laws requiring Google to be fair. If we don’t open our eyes soon technology ( whether it’s Google, Twitter, Facebook, Amazon Inc or some equivalent service) is going to F—k us all from some Cloud or other that is just over the horizon. Just look at the annual release of new smartphones. Of course there are other things in the long tall grass waiting to caught us by the short and hairy and most have being around for yonks. War, Natural Disasters, Greed, Inequality and the like. My advice is to beware of the man with a smartphone. Because knowledge is not knowledge until someone else knows that one knows. All human comments much appreciated. All like clicks chucked in the bin. THE BEADY EYE SAY’S: WE NEED A NEW WAY OF MEASURING GROWTH. Posted by bobdillon33@gmail.com in 2018: The Year of Disconnection., Algorithms., Capitalism, Fourth Industrial Revolution., GDP., Happiness., Humanity., Our Common Values., Poverty, Social Media, Sustaniability, Technology, The cloud., The Obvious., The world to day., Unanswered Questions., Wealth., What Needs to change in the World, Where's the Global Outrage., World Aid., World Organisations. As David Attenborough once said. ” Anyone who thinks that you can have infinite growth on a finite planet is either a madman or an economist” I would add technology in the form of profit seeking Algorithms. Infinite growth might have seemed possible when Captain Cook was around, unfortunately it no longer holds. However we are all still lead to believe that GDP marks human progress. Our world is rapidly changing. Markedly defined by the Internet. We are now standing on the threshold of divorce between Money and State with natural systems under enormous pressure which I am sure I don’t have to high light here. With the planet groaning, ever trade deal is a new frontier of accumulation a form of World GDP exploitation that was and still is promoted by the help of the World Bank, and the IMF. We are now at a stage where GDP growth is beginning to create more poverty, and inequality than it eliminates. Unfortunately the resources of the world have been exploited both for debt and profit rather than sustainability, and as long as GDP growth remains the main objective of Globalization we will see more and more countries going into irreversible debt, and war over freshwater, air, and energy. These profound changes are emboldened by the evident failures on both levels of political control: Technological Regulations/ Laws and the growing power of monopoly platforms like Facebook, Twitter, Google, Microsoft, the Cloud etc. Don’t worry say’s technology we can decouple sustainability and material throughput. A beguiling vision of a future lightweight economy. Facebook and the Cloud are gathering an unprecedented amount of power and allowing their business practices to be a disruptive force for democracy. All pointers signaling the widespread decay of the economic and political frameworks in which our institutions operate. With profit seeking algorithms rich countries are in fact increasing consumption, still producing stuff and by 2030 it will be in the 100 billion tons. There is also a growing belief as we convert to renewable energies and begin to use negative – emissions technologies that we can change the damage to the climate. However if we continue to ignore that energy use is only part of the problem. It is what we are doing with it is the problem. Polluting our sea, chopping down our forests, producing cement, creating land fills with waste, eroding our land, all contributing more and more greenhouse gases. Switching to clean energy will do nothing to slow this down. The problem is much deeper than we are willing to admit. We need a new consciousness for a different world. Our crucial first step would be to get rid of GDP as a measure of economic growth/progress and well-being. We need to have an open discussion about what we really value. We are all aware of the individual problems, but the main problem remains the same – Inequality due to the distribution and exploitation of the world’s wealth. Any rich country that has food banks, people sleeping on the street, is for me a failed state. I have written many a post with a solution that to date has fallen on deaf ears. it is my conviction that at this point and time its impossible to correct the imbalances of Capitalism. We can only ensure that Capitalism pays for the damage by introducing a World Aid Commission. On all High Frequency trading, on all Sovereign Wealth Fund Accusations,on all Foreign exchange transactions over $50,000, on all Social Media platforms postings, on all Bitcoin’s, and other digital currency transactions. This fund would be a perpetual source of money. It could replace the begging Organisations. Re Establish the United Nations an effective world organisation that could address and react to world needs, where ever, when ever. It could be managed under the UN umbrella, provided it was totally independent/ transparent of any lobbing and political veto interference. Its funds could be granted with no repayments requirements. 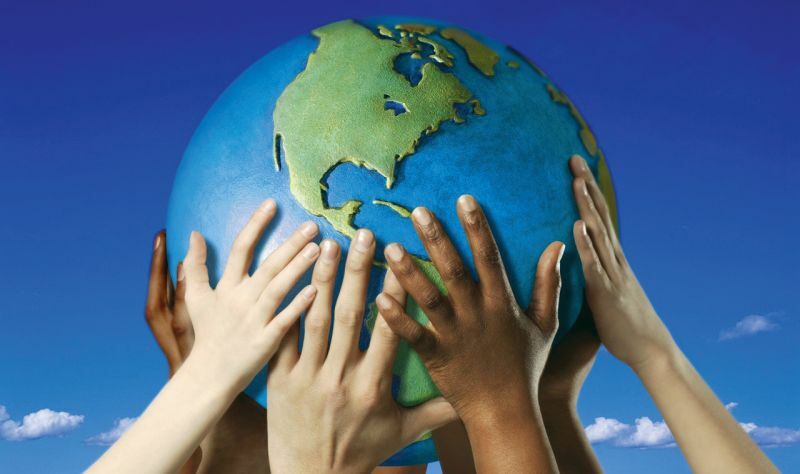 It would change the world for the better, by spreading its wealth where it is needed most. Of course the problem remains as to how we get our Capitalist Master to implement such a course of action. Perhaps Bitcoin’s ability to promote the divorce between Money and State, might be a place to start. THE BEADY EYE SAYS: UNLESS EUROPE LOOKS AT ITS HOMELESS IT WILL NEVER BE UNITED. Eradicate poverty, homelessness., Poverty, Sleeping Rough. In Europe alone, there are 3 million people on the streets. We all know that the Eu has many problems and is need of reform. All EU countries face major challenges in relation to finding sufficient resources to tackle social problems and it cannot be expected that one country like Germany is going to sort out other country’s homeless. However it appears to me that homelessness is increasing across a considerable number of EU Member States. We are now caught in VICIOUS circular, with the whole area in needs of a fresh approach. Prevention of homelessness is strongest in social democratic regimes, and the weakest in Mediterranean countries and some eastern European transition nations. 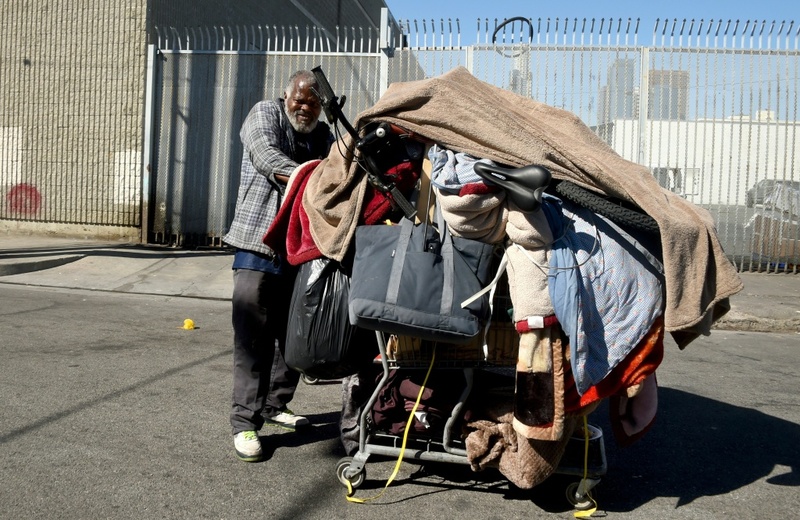 Which strategies in particular are best suited to responding to homelessness, either from a preventive or remedial vantage point is debatable however the provision of housing must ultimately be seen as the primary solution to homelessness, and that, while distinct from their housing needs, the additional health and social service needs of individuals need to be addressed as well. Housing and services should NOT be linked. A right to housing for all homeless persons will only be successful to the extent that such a right is legally enforceable. Another words in the hands of courts rather than in those of elected governments. While the numbers of people experiencing homelessness may be relatively low compared to those experiencing other social problems within the EU, the unique distress of homelessness and the potential costs for individuals, families and wider society from homelessness must never be forgotten. Quantifying homelessness isn’t straightforward and I don’t think it would be beneficial here to list the thousands that are sleeping rough in Europe, country by country. 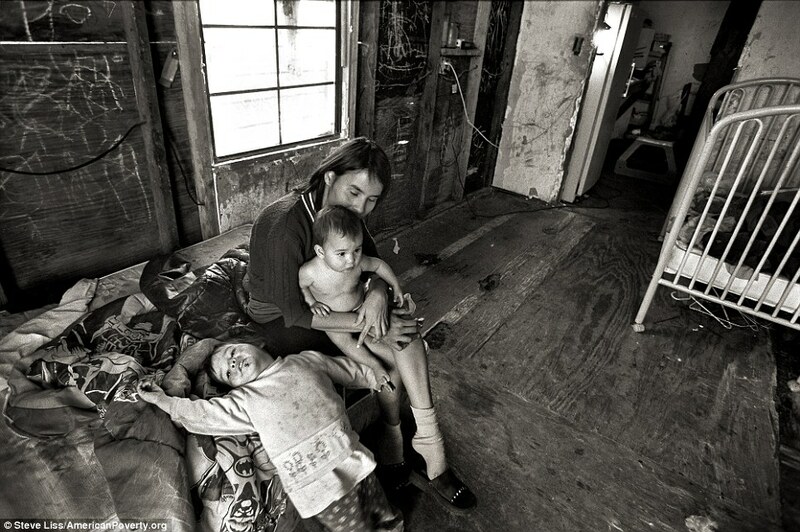 It is sufficient to state that Homelessness is a violation of fundamental human rights. When you walk by a homeless person it personifies whether the European Union is working or not. 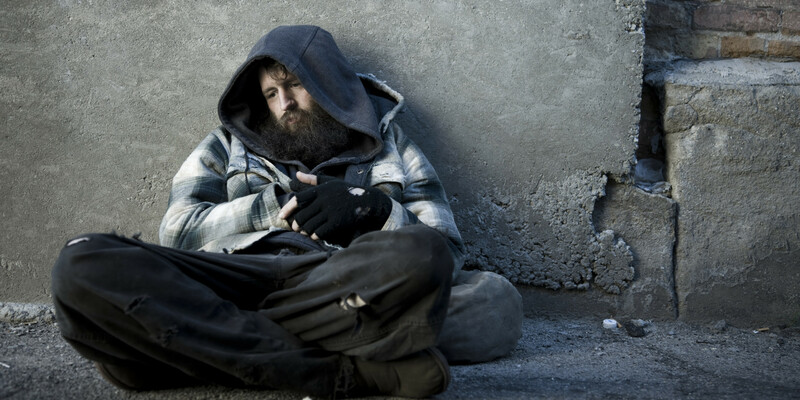 In total, the United Nations Commission on Human Rights estimates that the world has 100 million homeless people. And we wonder why we have such an unstable political world. By comparison in Australia and Canada, hundreds of thousands of people are homeless. There are over 9.5 million homeless people in Columbia and 24.4 million in Nigeria. The argument can be made for approaching homelessness as a problem that affects a set of distinct sub-groups and consequently, for tailoring solutions according to each group’s respective needs. Homeless youth, Homeless women Homeless migrants. Homeless mentally ill. This places homelessness interventions squarely within the broader context of poverty. But poverty is also the inability to use the resources offered. Poverty should be understood as not merely a problem of access to resources but also as implying a lack of ability in taking advantage of resources. If the EU does not want social exclusion within its ranks it must address homeless with a Rooflessness subsidy, like it help the farming communities through the Common Agricultural Policy. Homelessness in Greece has significantly increased to 20,000 homeless people in recent years. About 50% of the homeless population roams the streets of Athens. Measuring the scope and extent of homelessness in Europe still remains a significant obstacle along with the whole set of processes that generate homelessness and what results in different histories of homelessness. The POOR AND HOMELESS WILL CONTINUE TO GROW, BOTH WILL UNDERMINE THE ECONOMIC GROWTH AND UNITY OF THE EU.